We just love these wonderful creatures. 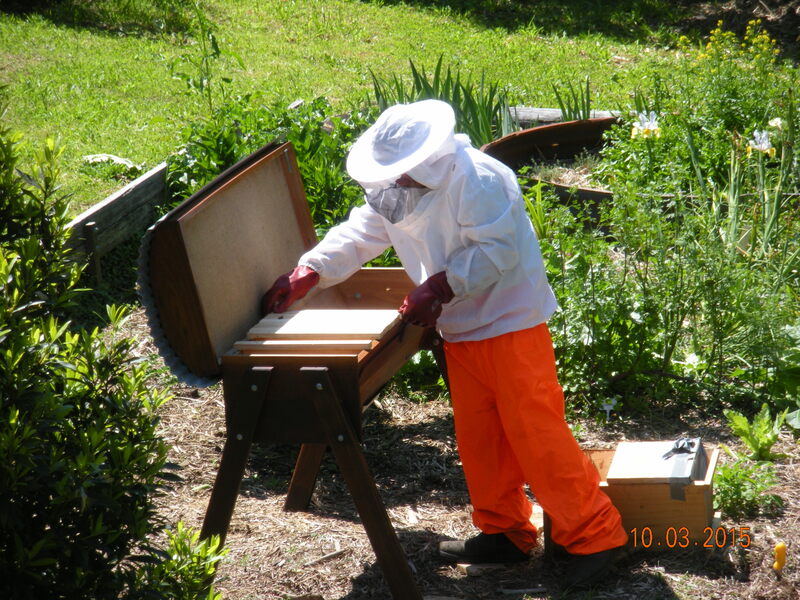 All our visitors also love seeing the top bar hives. After a disappointing winter, we have rehomed our new colony in their top bar beehive. Many thanks to Paul from Brisbane Backyard Bees for his fantastic support to all us new beeks. 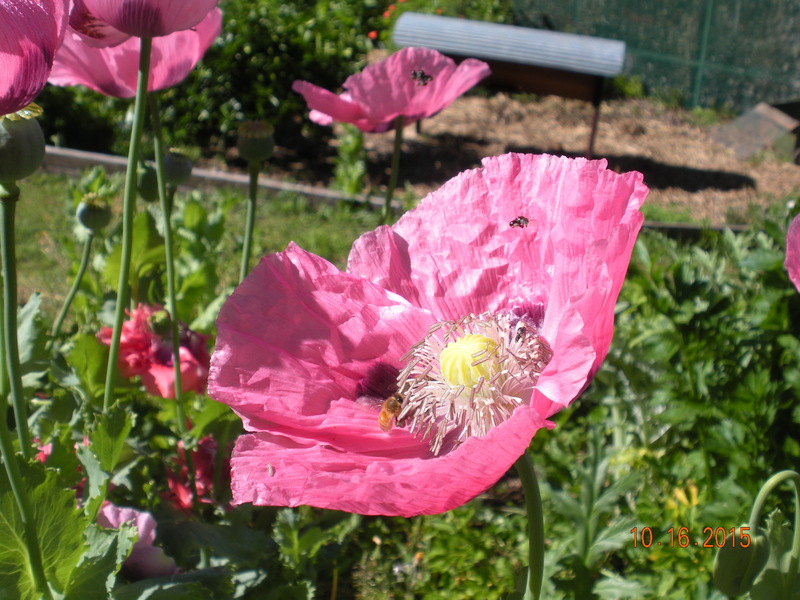 Wonderful to see our new honey bees playing so well with the native bees here.